THE Federation of Associations of Private Schools and Administrators, the country’s largest association of private schools, wants the two years of senior high school or Grades 11 and 12 of the K to 12 program placed under the Commission on Higher Education (CHED) and the Technical Education Skills and Development Authority (Tesda) instead of the Department of Education (DepEd). Eleazardo Kasilag, president of the 9,995-member association, said it would be a disaster, especially for private schools, if DepEd insists on placing the two more years of high school education on the lap of basic education instead of tertiary education since private schools would have to invest millions of pesos to construct more school buildings and hire more teachers as they are not subsidized by the government. “It makes sense for the tertiary departments to take up the basic education graduates as Grades 11 and 12 students would take up courses devoted to their specialization such as in arts, sports, entrepreneurship, agriculture or information technology,” he added. The K to 12 program would equip high school students with the skills to land a job after graduation even without enrolling in college and compete with their counterparts in other countries. What is basic compulsory education? There is quite a range, 8-13 years. Compulsory education means all are required by law to attend school for the prescribed duration. In the United States, a family who has a child who would be 5 years of age by October receives a phone call from the school district to ensure compliance with the compulsory education law of the state. Compulsory education also clearly defines what and how many years of education the government must provide for its citizens. During the reformation, the idea of compulsory education in Europe was aligned with the goal of having each citizen capable of reading the scriptures. More recently, education has been viewed as equipping the student with the 3R's: reading, 'riting, and 'rithmetic. Nowadays, with emphasis on critical thinking, there are new 3R's: Relating, Representing and Reasoning. Both science and arts cover these three important basic skills. Relating, representing and reasoning are clearly skills that provide an individual to function inside a society. Without the ability to reason, for example, it is difficult to imagine how a democratic process can actually work if the members of society cannot weigh what is right and what is wrong. It is in our communication with one another that a society is able to move forward as one. That is why it is a must that each member of society is able to engage in discussions with other members of society. As human beings, who are especially aware of ourselves and what surrounds us, it is important that we become capable of digesting and casting our experiences in models that we could share with others. It is through these representations that we deepen our understanding of ourselves and the world we live in. The fact that relating. representing and reasoning are parts of human existence - the fact that these skills and activities make the human being human - the fact that society cannot function without these, provides the basis for a compulsory basic education. "Preschool education: According to Finnish law a child has the right to free preschool education in the year prior to the start of compulsory education, generally at the age of six. Basic education: Basic education is a nine-year general education. Basic education is free and gives everyone who completes it the right to further education. All children living permanently in Finland are legally obliged to complete the compulsory education syllabus. Basic education is also available to adults: this is arranged by general upper secondary schools for adults and folk high schools." Why then is there a range for the number of years for compulsory education among various countries? The years of compulsory education depend on the resources the government has. It also depends on what the real objectives are of compulsory education. Most of the countries here that have less years of compulsory education have additional years of schooling beyond the required years that are still at the pre-university level. 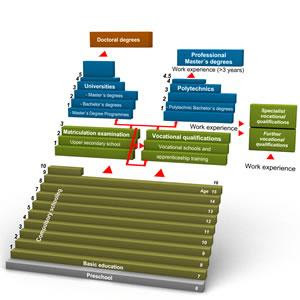 These countries usually offer two separate tracks after the basic compulsory education: vocational and precollege preparation. 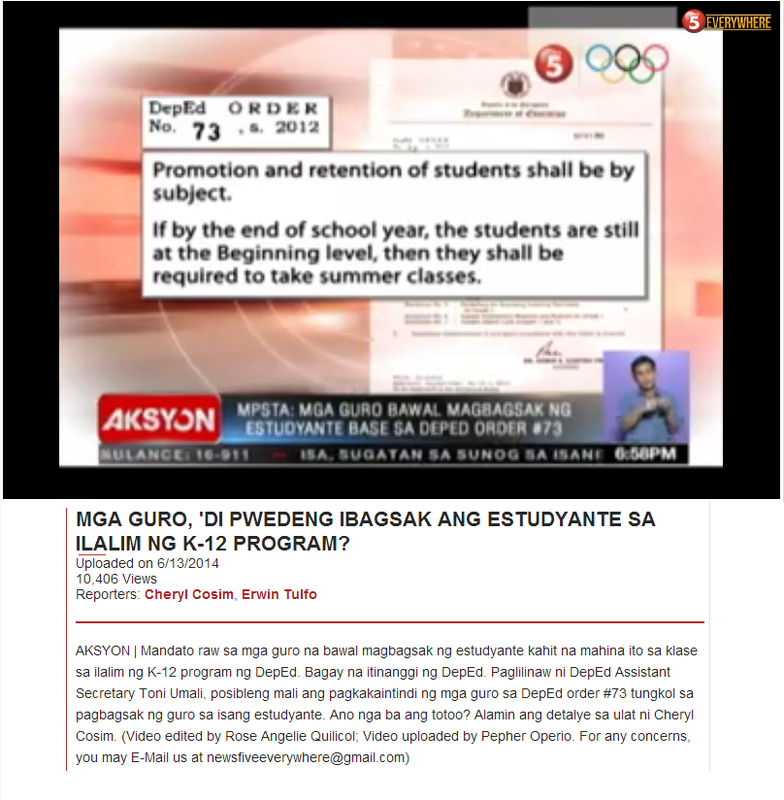 This indeed makes the proposed additional years of DepEd's K+ 12 plan look quite similar. In this respect, it may be helpful to reflect on what the true objectives are of Philippine basic education. What do we value? We should measure what we value and not value what we measure. Scores in tests and years in a curriculum, are both measures. We need to be careful in using these numbers in drawing policies and programs that address problems in education. We must keep in mind that these are tools and representations. 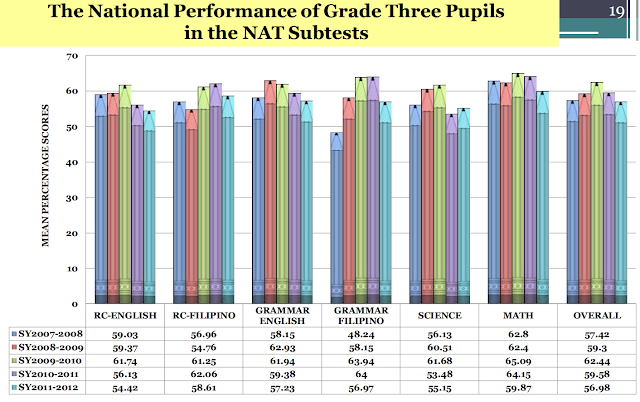 The scores in these exams by both Philippine students and teachers are low. But, in my opinion, much more useful than realizing that the Philippines ranks low in these exams, is seeing the range, or breadth of scores of Philippine students. not achieved by increasing the number of years of schooling but at the same time decreasing instructional times within each year. Focusing on "Education for All" requires our commitment and undivided attention to the years of basic compulsory education. And with this in mind, Eleazardo Kasilag's suggestion above may be worth consideration. I agree with your view that it is important to look beyond the numbers put out by various countries about the number of years they consider and require as "basic compulsary education". Different countries and societies have different culture, objecives, national character make up and of course, different financial resources, capabilities and commitment to support the years needed for their citizens to acquire "basic education". And to some extent,(just pure speculation)maybe even genetic factor comes into play. So what is the Philippine's objective in basic education"? What do we value highly for us to mandate and provide our citizens the basic education? I would venture to say that it is to prepare our youngs (and adults who missed it in their early years.) the basic knowledge for them to want to pursue learning, to do well in school, and to do well in their profession and in society as a whole. This requires the 3 Rs and now the 6 Rs. (I will add one more R - "Restraint", self-restraint, that is). To prepare them to face the real world, to be street-smart or "global-smart". Not simply to be competitive in the world market of call centers. In a larger sense, to build their character as good human beings. You are correct in your assessment that to have "education for all", the curriculum must be central in the discussion. It should be designed in such a fashion that the objective will be achieved. What subjects, courses or topics should be in it? What methods to use and how long and at what duration should they be taught? Then it takes courage, commitment and sacrifce for all players to make it work. Putting the extra years of schooling under the direction of the CHED, TESDA or DepEd, although worthy of consideration, is relatively less critical compared to the issue of money to fund it.